Home Reviews Firmoo: Sent with LOVE! Got my glasses from Firmoo all the way from China. This was after being part of their blog exchange to all bloggers and receives free glasses as a return. 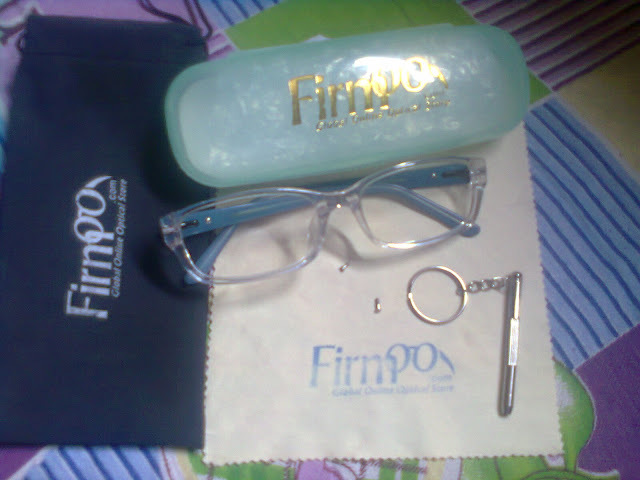 I was very overwhelmed to the fact that Firmoo is so generous to all bloggers who continuously supporting the best Global Optical Store; must say, Firmoo meets my need visually as a near sighted person, now I'm living like with a normal eye-sight. Firmoo is a Global Optical Store that provides great service globally. Now, I suffer no problem regarding my eyesight, to give a background of what Firmoo is and what the store has to offer to you. Click the photo. 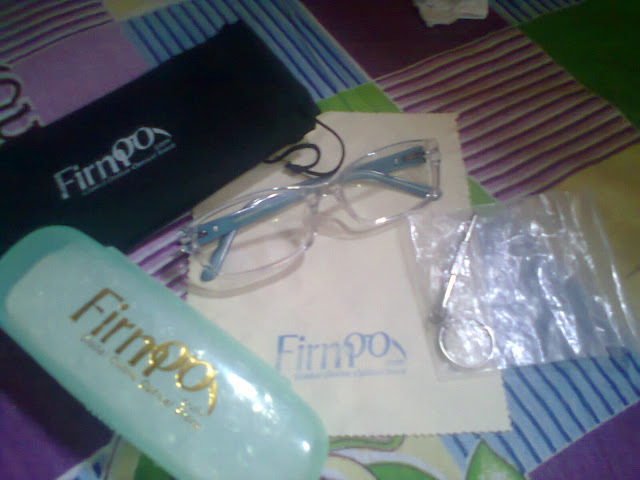 Firmoo always make sure that they have the best and what the people seek regarding their eye problem; not only for a serious matter but for fashion as well. The value of the glasses is indeed affordable but on my case, I got it for FREE! Here are the items included in the packaged they sent for me. First is the eyeglass of your choice, whether it is plano or not. Mine is not a plano glass, it's personalized so that it really fit on my eyes since I have a case of seeing things blurred when its far away from me. Its case, the case depends on what kind of glasses you want but it always has a piece of smooth fabric with Firmoo logo on it that covers the glass upon putting it inside its case. 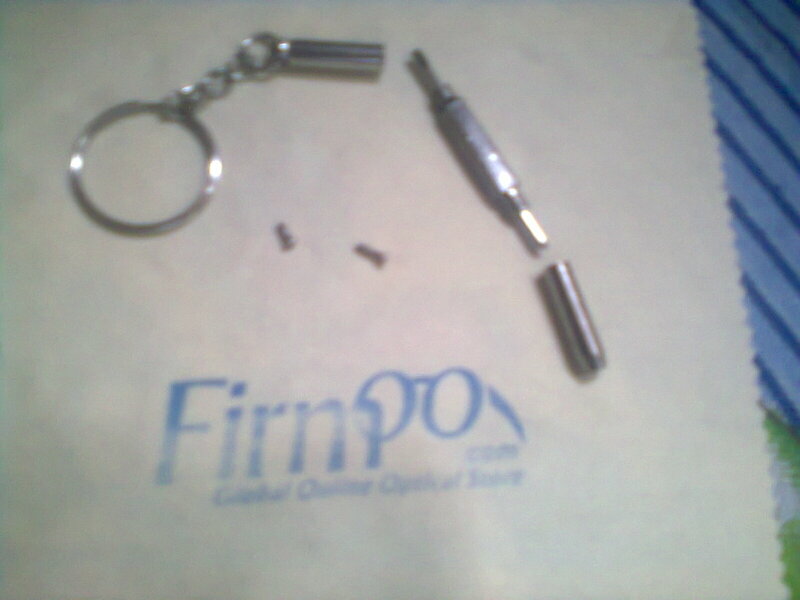 They also include a pack, a keychain which is a pen like tool with screw drivers inside at both ends when you open it; with 2 extra screws. All their eyeglasses has a black bag where Firmoo name logo/site printed. So, what are you waiting for right now? You better rush yourself and grab your own Firmoo glasses. Just check out their site mentioned above because they have what you need, also LIKE their FB page for they have new collections posted on their wall. If you're a blogger like me, better drop a message on their page 'cause they might something special for you. Having Firmoo with me makes me more awesome.